Hiya guys! I'm definitely going to be bombarding you guys with a bunch of posts the next few days. I needed a few mental health days and I thought my posts were scheduled. Welp. I somehow ended up scheduling everything for the dates next year, haha. Like how does that even happen?! Haha. If there is a way to goof, then you can bet I'll do it. 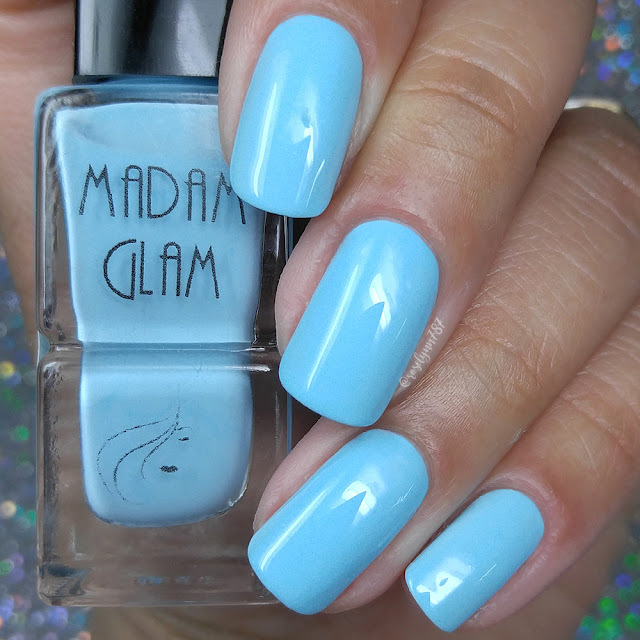 But let's get moving to the polish because I'm sure you guys are dying for more enabling XD Today I'm sharing a few gorgeous cream shades I picked out from Madam Glam. Although primarily known for their amazing gel polishes, they also offer a great selection of regular nail polishes as well. Let's go ahead and get right into the swatches! These polishes by Madam Glam and many more are available for purchase online. Each full-size 14mL bottle retails for $8.90. Use code Roselynn30 and receive 30% off your entire purchase. Blue Mood can be described as a pastel baby blue cream. Starting out this review with one of my favorites shades I picked out. This was definitely a no-brainier pick, I mean not only is blue one of my favorite polish colors but I live for pastels. Done deal. I also feel this is going to be the perfect base for winter nail art! I know pastels are traditionally a spring thing, but I am one of those ladies who can incorporate them into any season. Just like neons! I'm such a rule breaker, eh? Haha. The formula has a sheer and patchy application that ends up building up pretty well. The consistent leans on the thin side, but doesn't run and it's easy to manage. It dries down very smooth and to a nice natural high-shine finish. Shown in three coats and sealed with a glossy topcoat. 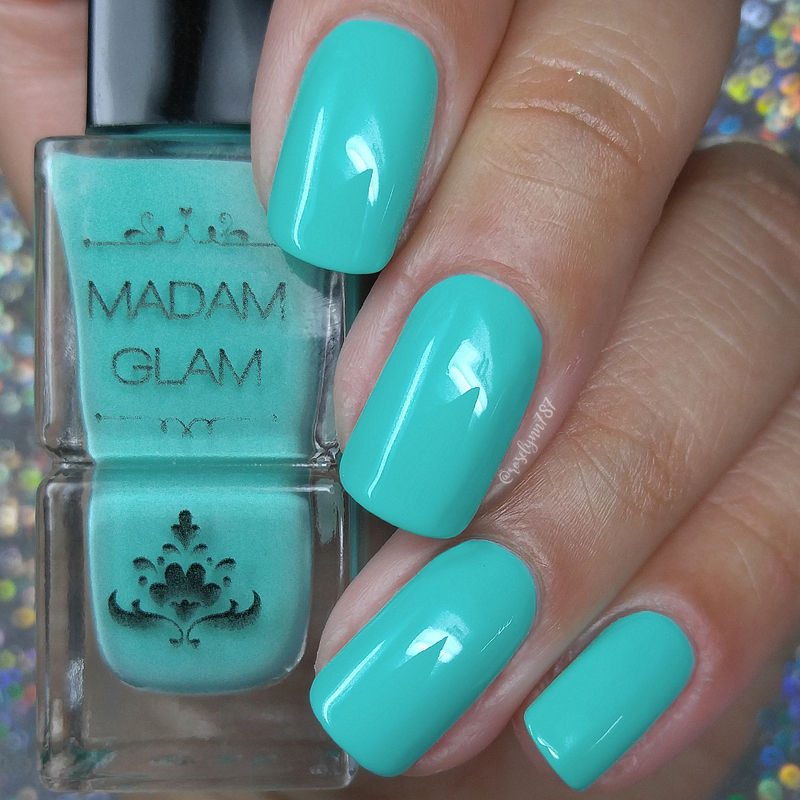 Caribbean Island can be described as a mint teal creme. Definitely a very hard color to capture on capture, in person this does lean a little lighter and more mint-y. Although I love the brightness of the color, I am not a fan of it against my skin-tone. I did feel like it clashed a little and highlighted my yellow undertones too much. The formula has a very opaque application, but not quite enough to be a one coater. Consistency wise it's also on the thin side, but manageable. One of the things all of these cremes have in common is how smooth they look and apply. Smooth like butter! I experienced no staining on removal to my cuticles or nail bed. Shown in two coats and sealed with a glossy topcoat. Second Chance can be described as a grey base full of silver micro-glitters. Full of sparkle, you can't go wrong with this one. It's gorgeous and makes for the perfect accent nail. 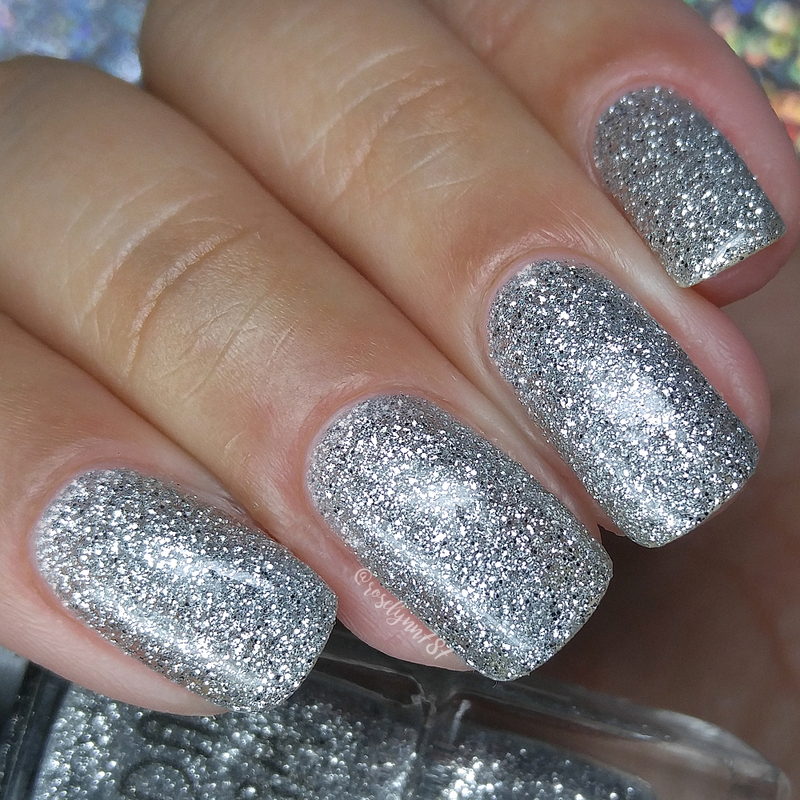 Easily makes the cut as one of my favorite silver glitters in my collection. The formula has a sheer application and can be used as topper as well. It builds up really great for full coverage without the need to dabble on the layers. Consistency wise it's very balanced, not too thick or too thin. It dries down to a textured finish, but smooths out after topcoat. Shown in three coats and sealed with a glossy topcoat. Summer Nights can be described as a tangerine creme. I tend to shy away from oranges in general, so I picked out this one out with high hopes. And I have to say I really love how it looks against my skin-tone in this case. It brings out a nice tan without causing a clash, kind of making me have that nice sun-kissed glow. The formula has a really opaque application, almost a one coater. It has a great smooth finish and self-levels perfectly. Consistency wise it does lean on the thick side, but it's manageable. Like all the other cremes, it dries down to an increible high shine finish. Shown in two coats and sealed with a glossy topcoat. You're a Beauty can be described as a pastel cotton candy pink creme. And we're closing off the review with the same way we started, with another must-have favorite I picked out. Very girly and fun, reminds me a carnival. Like with Summer Nights, it's one of those colors I don't normally gravitate to. But I'm really glad I did this time around, it's by far one of best pastel pinks I have ever worn. The formula has a similar sheer and patchy application to that of Blue Mood. Builds up really well and evens out as it's layered. It has a good balanced consistency, not too thick or too thin. And, of course, It dries down to a smooth high-shine finish. Shown in three coats and sealed with a glossy topcoat. Overall I ended up loving these shades so much, especially the four cremes. They are so consistent in formula and application, which is definitely a huge plus. I feel like these are going to be absolutely perfection when it comes to nail art and I cannot wait to feel up some play time. Needless to say I highly recommend these, especially if you're like me and are a huge fan of the creme finishes. I'd love to know what you guys think, let me know which was your favorite down in the comments below! 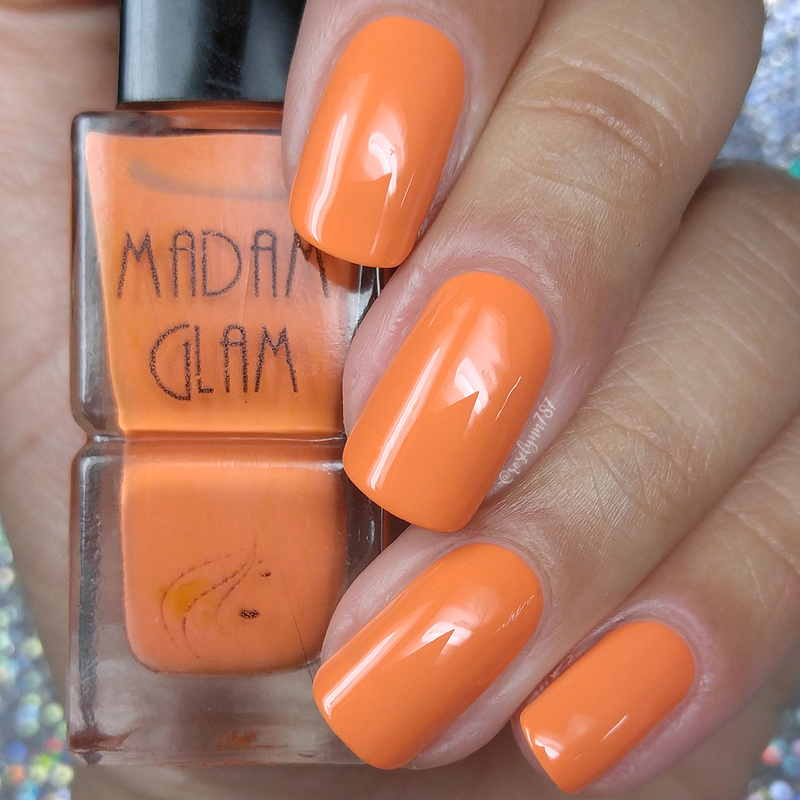 To recap, these polishes by Madam Glam and many more are available for purchase online. Each full-size 14mL bottle retails for $8.90. Use code Roselynn30 and receive 30% off your entire purchase.